Rates are per person and include: All equipment and bait needed to fish, filleting of all fish during your ride back, and the 7% KPB Sales Tax. Full payment is required at time of reservation. Accepted methods of payment include, VISA, Mastercard, American Express, Discover, Cash, or Check. We've fished and hunted the North Gulf Coast for nearly 30 years. 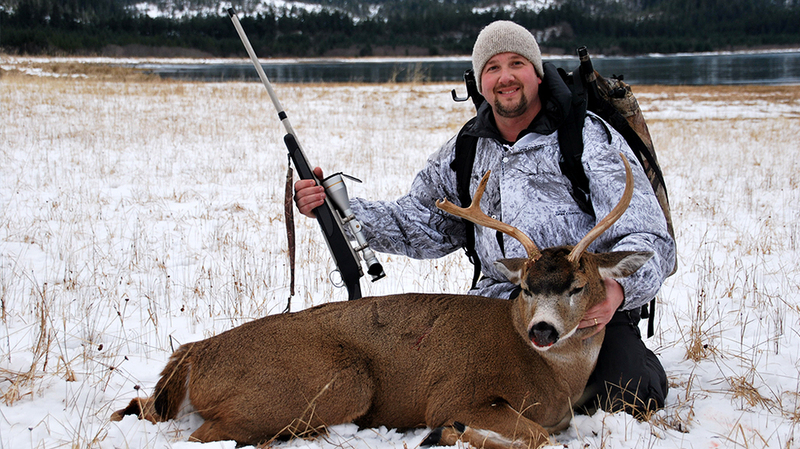 With this experience and exploration under our belts, your hunt is bound to be successful. The North Gulf Coast is plentiful with big game, including Black / Brown bear, Sitka Black Tail Dear, and Mountain Goat. We hunt all of these species. 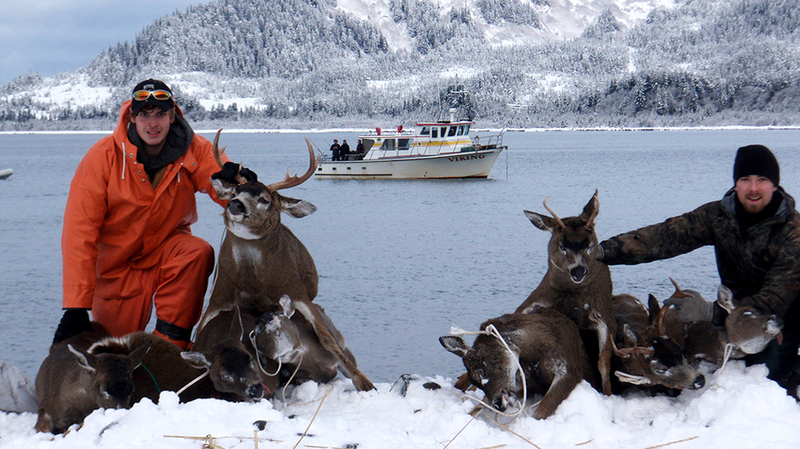 Our guided and unguided hunts include accommodations aboard our 42-foot Delta Charter Vessel, the Viking. 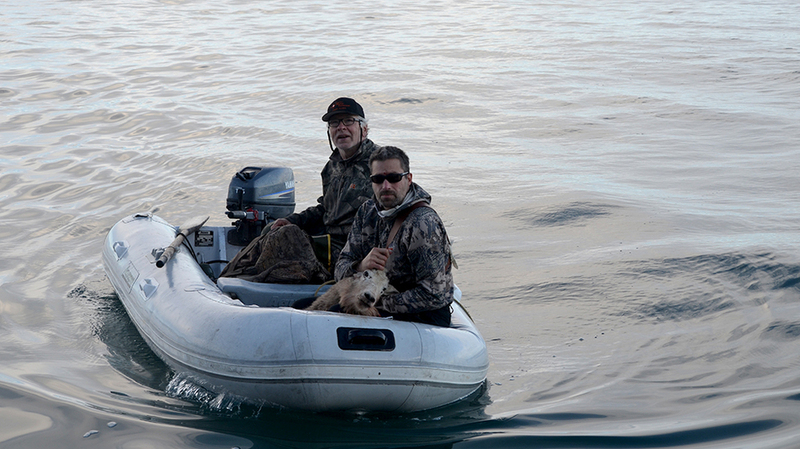 A full galley, head, and tender allow you to utilize this vessel as a moving hunting lodge. Alaskan breakfast, lunch, and dinner are also included. These trips can include fishing as well. We are fully equipped with proper fishing gear and know exactly where to get what you want and need. Only thing you need to remember is your fishing license. 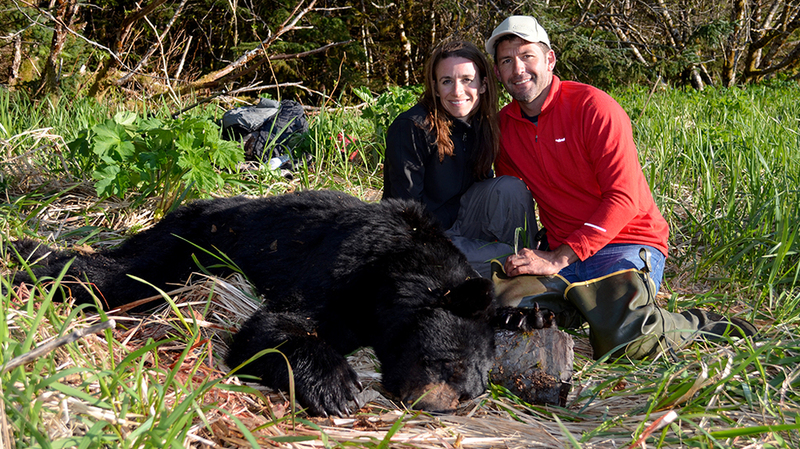 We have deep roots in the Alaska hunting scene and are fully networked. If you need help with taxidermy, shipping, and logistics of trophies please ask. These rates are per person. These rates DO include the &% KPB sales tax. Full payment is required once a reservation is made. Credit card, check, and cash are accepted. For further questions check out our FAQ page. Leave a message If no one answers and we'll get back to you ASAP. Chances Are, We're Off the Grid!